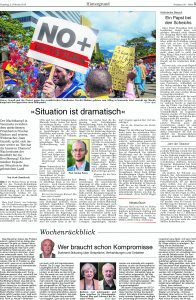 “Panorama de las personas defensoras de derechos humanos y líderes sociales en riesgo en Colombia 2018-2019” (Outlook for Human Rights Defenders and Social Leaders at Risk in Colombia 2018-2019) is the first Policy Brief published by the German-Colombian Peace Institute CAPAZ in 2019 and the second in this series. It addresses one of the most critical issues in the Colombian context: the murder and persecution of human rights defenders. Its author is Carlos A. Guevara, researcher in human rights, peace and armed conflict. In Colombia, violence against human rights defenders has intensified and keeps the important struggles that they exercise and promote in suspense, despite the benefits of the Acuerdo Final (Final Agreement), signed between the Colombian government and the demobilised guerrilla FARC-EP in 2016, has brought to the country. Despite the willingness of previous and current governments and the proposal of certain mechanisms and countermeasures to resolve this dramatic situation, to date efforts have not been sufficiently effective. The aggressions continue and the number of murdered human rights defenders has increased exponentially since 2016. Especially at risk are rural leaders linked to Juntas de Acción Comunal (Community Action Councils), peasant associations, ethnic communities as well as advocates for environmental advocacy, land restitution, voluntary substitution of illicit crops and political participation on behalf of vulnerable minorities and rural communities. The CAPAZ Policy Brief raises the need to unify public policy to prevent attacks, based on the progress made with the Acuerdo Final (Final Agreement) and the proposals of the current government. It also recommends the possibility of restructuring the Unidad Nacional de Protección (National Protection Unit) to make collective protection measures possible. It presents the need to strengthen dialogue and coordination with human rights defenders in order to protect them. We hope that the first CAPAZ Policy Brief in 2019 will provide relevant inputs for policy makers and institutional decision-makers concerning the prevention, protection and investigation of these forms of violence. Download the CAPAZ Policy Brief No. 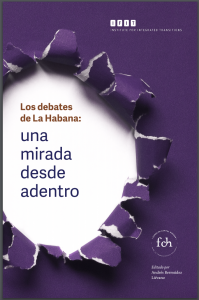 1-2019 (in Spanish). 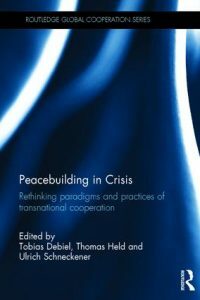 The German-Colombian Peace Institute – CAPAZ has conceived the new series of CAPAZ Publications, which includes Policy Briefs. The CAPAZ Policy Briefs will provide evidence from empirical research of high political and social relevance that seeks to support policy definition or decision making. 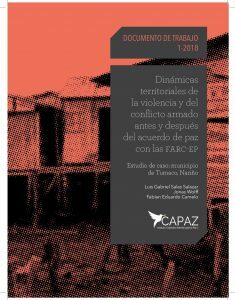 The CAPAZ Policy Briefs Series aims to highlight proposals and policy recommendations from researchers on issues related to the challenges of building sustainable and lasting peace in Colombia. Through these documents, CAPAZ seeks to facilitate access to scientific knowledge and the transfer of knowledge from research work to society in general and to different political actors in particular. The CAPAZ Policy Briefs will be published as useful tools for understanding and addressing concrete problems faced by societies in transition. These documents are addressed in particular to those who design, formulate and have the power of proposition and decision in public policies that can address needs resulting from these problems.